IOST Mainnet was officially launched on February 25, 2019. Following the launch, IOST Foundation has been actively carried out the updating of Olympus v1.0 and the mainnet token transfer. We are happy to announce that the first batch of IOST ERC-20 Token have been successfully destroyed. First batch destroyed: 2,170,000,000 IOST (ERC-20 tokens). This represents over 20% of circulating supply. 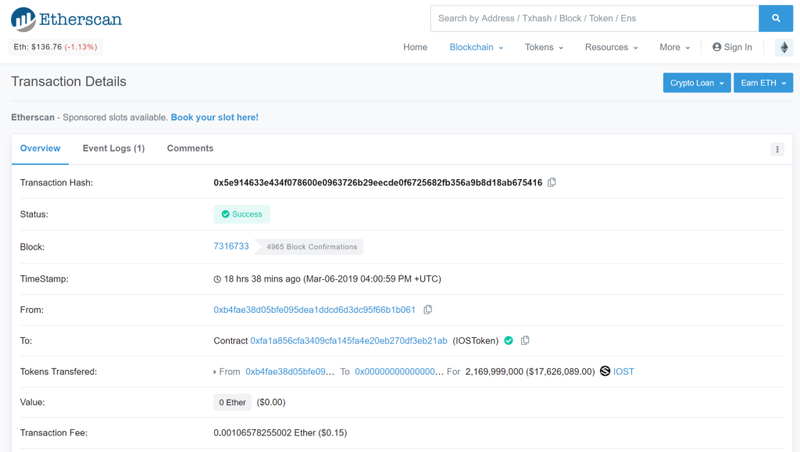 Olympus v1.0 is now running steadily with close to 200 Node candidates, reaching 3,879,596 block height and 11,729,771 transaction volume as of 3:25 PM on March 6, 2019 Singapore time. 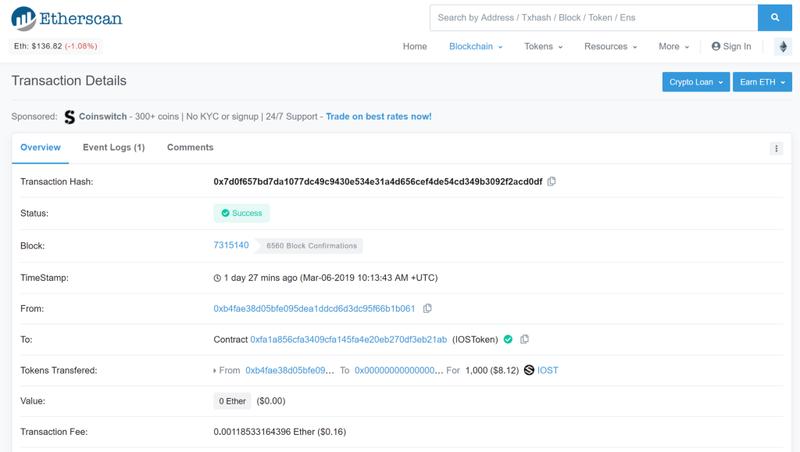 Mainnet Token Burn Has Begun! | Over 20% of Circulating Supply Destroyed was originally published in IOST on Medium, where people are continuing the conversation by highlighting and responding to this story.